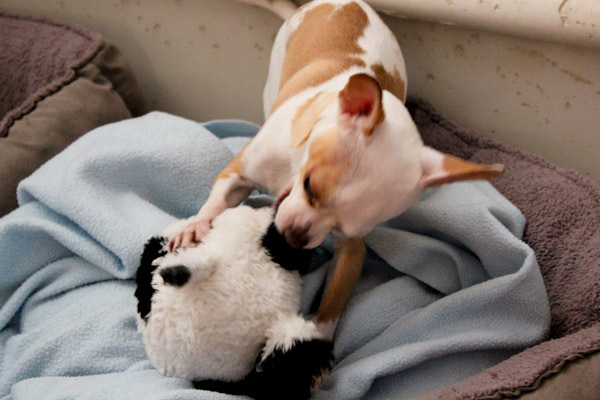 After another long day at work, I got to decompress watching this little maniac race around the house with his over-sized cow toy flopping around. And that toy gets heavy when it’s saturated with dog slobber, I know because he likes to do flying leaps onto my back with it while I’m doing plank exercises. Who needs a weight ball? Over the last few days, I’ve been eating lots of hummus with lunches and plenty of the stuff at the Fresh & Easy event. Not that there’s anything wrong with that, but I was starting to feel like a giant chickpea. I was craving something spicy tonight without beans since I’ve had my fill for awhile! 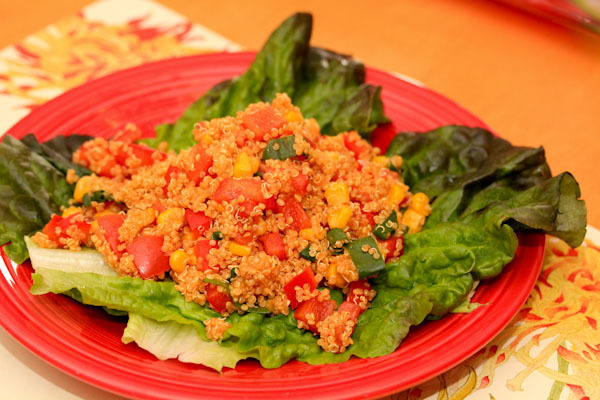 I threw together a Mexican themed salad utilizing some fresh tomatoes and red peppers that needed to be used up, but swapped the beans for quinoa for a lighter take on it. Mix all ingredients thoroughly in a large bowl and serve. Makes 4 servings. The cayenne added a slight fiery kick to the salad that you might want to skip for less heat. The festive and bright colors were perfect with our warmer weather today and for reminding me that the weekend is almost here! 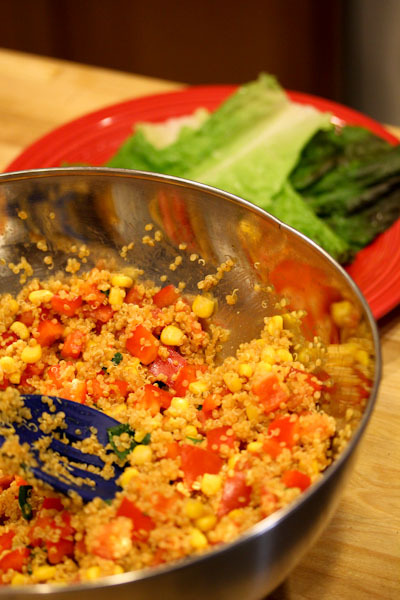 The salad is great by itself, but would also be fun in a wrap or mixed into fresh greens to add more textural flare. That looks so good and I can almost taste the flavors from here…love the peppers in it! And tomatoes and corn! 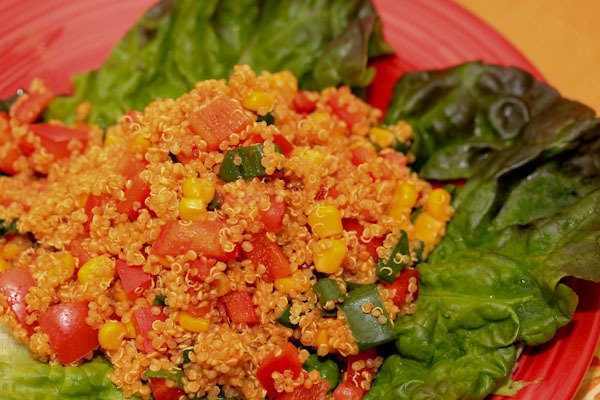 You had me at Mexican and Quinoa! Love this! Yum– we’re headed to a potluck dinner on Saturday night, and I was actually thinking about making something very similar to this! 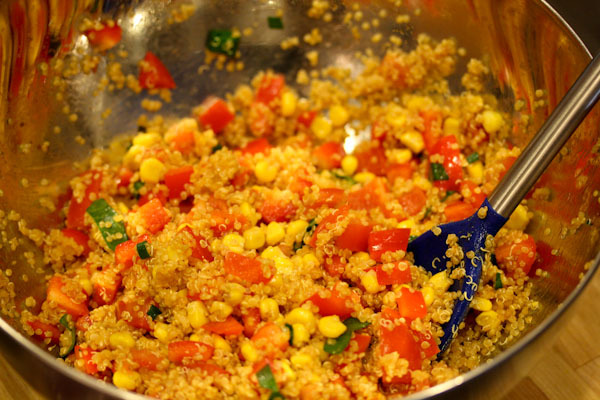 That’s great, can never go wrong with a quinoa salad – so fun and bright. And there’s usually at least one person at gatherings that has never heard of quinoa before. That looks AMAZING. 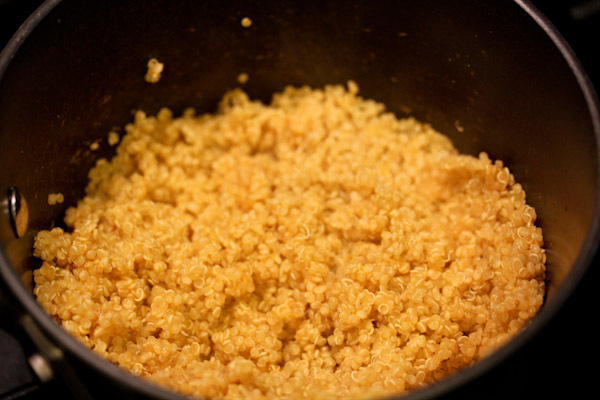 I don’t use quinoa enough. Me either and I should because it’s so easy to cook or sprout and great for fast digesting energy. Thanks, it made great leftovers too.